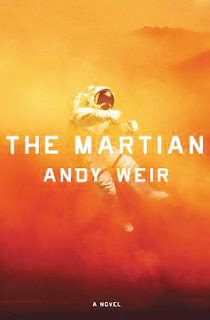 Andy Weir’s The Martian is a special book. You might be, as I was, initially put off by some combination of the title and the cover, which suggests a plot of space exploration, or potentially, an alien invasion. 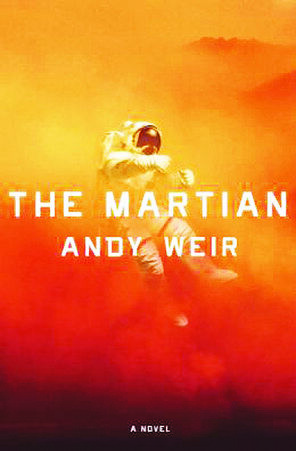 While much of the book is indeed set on the Red Planet, the titular Martian is not in fact an alien but our affable protagonist, Mark Watney. Presumed dead after a horrendous sand storm, Watney is abandoned on Mars as the rest of his crew evacuate. Left with only enough supplies for a month-long mission and no contact with NASA, Watney must discover how to extend his survival indefinitely, while keeping both his sanity and good humour intact. This is a book about uniting to rally around a cause, about pushing human ingenuity far past its limit. This is a book you can root for. The story of The Martian’s publication is pretty inspiring unto itself. Author Andy Weir researched and wrote the book out of a love of science and space exploration, but disheartened by the publishing process, he decided to self-publish the book on his website, releasing it one chapter at a time back in 2011. After an initial outpouring of support from fans, Weir released the full version as an ebook via Amazon. The book’s success and positive reviews grew to the point that Crown Publishing purchased the rights and re-released a print version in 2014. Now a bestseller and a critical favourite of 2014, the film adaptation starring Matt Damon and Jessica Chastain will premiere next month at the Toronto International Film Festival. The Martian’s broad appeal will whet the appetites of both sci-fi fans and readers of general, realistic, or literary fiction. The scientific aspects of the book are extremely thorough and well-researched; however, explanations are consistently witty and relatable. As an Everyman character, Watney is highly likable and a great choice, though readers will also enjoy getting to know the diverse cast of characters that make up the rest of the Ares 3 crew and the NASA scientists at home on Earth. Highly addictive, this book will run you through the full emotional gamut, highlighting a hugely positive view of human potential. If you'd like another book chronicling the triumph of spirit and ingenuity over insurmountable odds, try Ready Player One by Ernest Cline. When a billionaire video game pioneer dies, he leaves his fortune to whomever can complete a quest hidden in his most famous creation. Three teenagers team up to finish the quest, facing off against an evil corporation who wants to monetize the game for themselves. Primarily written for young adults, Ready Player One can be frustrating in the homogeneity of its character types but contains exhilarating twists and thrills as the protagonists fail and succeed in their turn. I recommend The Martian to anyone who will listen to me! The movie looks really great as well!